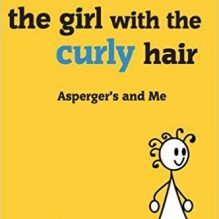 In this debut guide, The Girl with the Curly Hair covers the fundamentals of ASD with information that is relevant to children and adults. Discover how this complex condition affects people in a very clear, simple and accessible format. 2ND EDITION, NEW CONTENT! Have you ever heard of Autism, Asperger’s Syndrome and other Autism Spectrum Disorders (ASD) being described as “a different way of experiencing the world”? The Girl with the Curly Hair always found this phrase a bit confusing. “Different” how exactly? “Different” in what way? 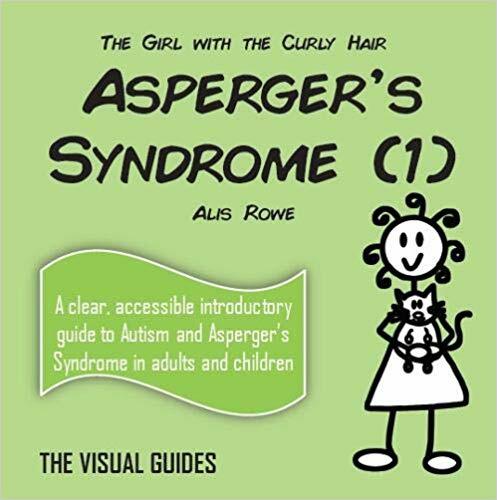 In this debut guide, The Girl with the Curly Hair covers the fundamentals of ASD with information that is relevant to children and adults. Discover how this complex condition affects people in a very clear, simple and accessible format. I was advised by the psychologist to look at a few web sites and other sources of information, one of which being The Girl With The Curly Hair, I did so and have just received one of your books which I had ordered. Alis Rowe is amazing and so inspiring she writes with such truth! All Alis books help me to understand my condition and how to cope, without Alis books I would feel less alone. Alis books are easy to understand as they have big writing and lots of visuals I’m an aspie myself so this is an amazing find. Alis information comes from a real place as Alis has Aspergers. 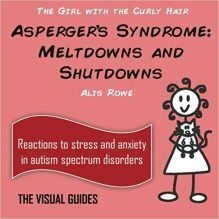 in This book Alis gives ideas and advice on what is Aspergers is and how to cope with a diagnosis and what life is really like on the spectrum! there are some great diagrams in the book on how parents and the child themselves can help understand themselves better. I bought this book to help me understand myself better. Another wonderfully written book by Alis! This arrived at a time when I had a lot to deal with and it helped me consider how I am perceived by others. This is the 4th paperback by Alis Rowe I have bought and I am looking forward to more, as they are invaluable at helping me understand myself and my children better! A well written and insightful book. The visuals make it easy to comprehend and accessible for both parents and children. This is a great accompaniment to the Comic Books that Alis has written. Thank you Alis, another wonderful read! Alis Rowe has taken a unique approach in creating this book about life as a young woman with AS. Presenting the information in highly visual and seemingly simple ways the net effect is powerful and effective. Alis Rowe understands, simplifies and connects those struggling to understand Aspergers and Autism like no other. This book, as with all The Girl with the Curly Hair series, is so enlightening and straightforward to read. If you know anybody with autism – which frankly we all do, diagnosed or not – it really is like a light coming on. After recently being diagnosed with Aspergers Syndrome, my partner had extreme difficulties explaining to his friends, family and co-workers what Aspergers actually IS. This book has helped him to articulate his strengths and weaknesses so that we can accommodate and support him as necessary, and has made an emotionally exhausting experience all the more simple. This book is so jargonless, clear and visual that often one page can be enough to illustrate what my partner is trying to say, rather than dealing with a melt- or shut-down which can lead to days of frustration for us all. What a good job for us, that the girl with the curly hair came to our “rescue”. I’ve read almost every book on Aspergers now, but none of them has had such a profound and widespread effect for us than this one. I look forward to seeing more from the girl with the curly hair. This is a very well done, informative, easy to read, clear and visually attractive book that explains Aspergers Syndrome. It is written by my friend Alis, the girl with the curly hair, who is a sweet, beautiful and very intelligent young lady who is working hard to create her books and materials to teach the world about Aspergers and help encourage understanding and better communication between people who are on the Spectrum and those who are not. If you can, I ask you to please support Alis and her efforts. It’s a very good cause. This book gives an insight into the world experienced by a person with autism. For both the person with autism and their family/friends, it helps toward an understanding of the behaviours and emotions displayed. Absolutely love this! It is very clear and easy to understand and the simple visuals are attractive and support the text well. A brilliant insight for teachers and professionals and, particularly for NT parents/partners. Also a huge comfort for people with AS to help them feel more understood and less alone. I highly recommend this book. Easily understandable and digestible information presented in a clear yet engaging format for personal education or to use as a discussion prompt. Fantastic book that has given me a real insight into how Autism affects my daughter. The book is informative but clear and is a great book to give to family and friends to enable them to understand more the real issues faced by individuals living with ASD. The Visual Guides are an excellent resource for young people and their families. I would also recommend the Curly Hair Project website and Facebook pages.